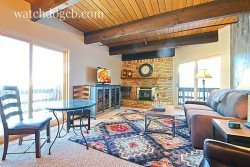 With their in-depth knowledge of the area, including investment properties, they are your perfect educated source to help with the purchase or sale of any property in the Crested Butte area. We are the leader in quality rental homes and services. Please inquire to see if your home meets the criteria to be a part of the select Watchdog inventory! Click HERE to contact a Watchdog Vacation Rental expert! We offer unparalleled service and quality for second homeowners that want their vacation home to be just that: a vacation experience. Let us take care of the details and have the property ready as if you were staying in your own personal private resort. Click HERE to contact a Watchdog Caretaking expert!